This month saw the arrival of John Barrett to the market! 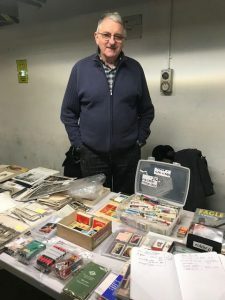 John specialises in Ephemera with a passion for press photography dating around 1930 and 1940s/2nd World War Era. John Barrett can be contacted on 07711 556908. 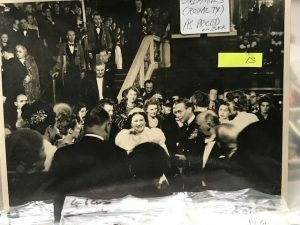 Queen Mother and King George VI during a royal engagement – you can see a young Princess Elizabeth hidden in the crowd on the right-hand side. Father, Lance Corporal King of the Dorsets, arriving back from war for Christmas: Being welcomed by his wife and 3 children (4 December 1934). Leave a Comment on January’s New Intake! Happy New Year to all Dealers and Collectors!! Looking forward to 2018 bringing in a new chapter in the history of Charing Cross Collectors Market starting with the installation of new signage during the month of January. This will make the access to the market far more visible to assist you in locating us. This year we are pleased to confirm that we shall be keeping you all updated on our planned activities on the blog section of our website on a fortnightly basis. Our first initiative is to feature one of our stalls, providing some useful and interesting information on the items being offered together with relevant links. Happy collecting and best wishes! Tagged 2018, coins, collectables, dealer, militaria, new, postcards, stamps, traderLeave a Comment on Happy New Year!